Camden council chose to ignore objections from residents and installed Christmas lights in the badly neglected Whitfield Gardens. 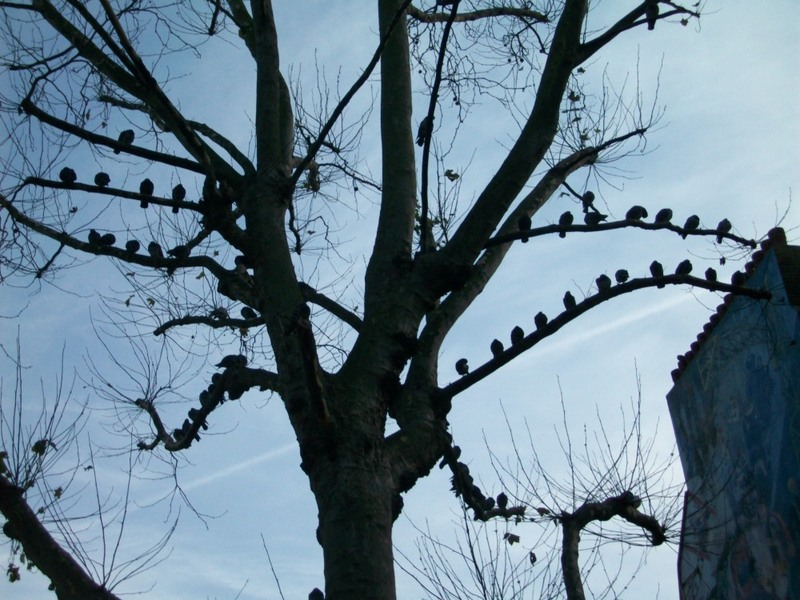 Friends of the Opens Spaces Fitzrovia have been campaigning to get Camden council to make repairs to the cracked paving stones, remove graffiti, and deal with the pigeon and rat problem at the Gardens. 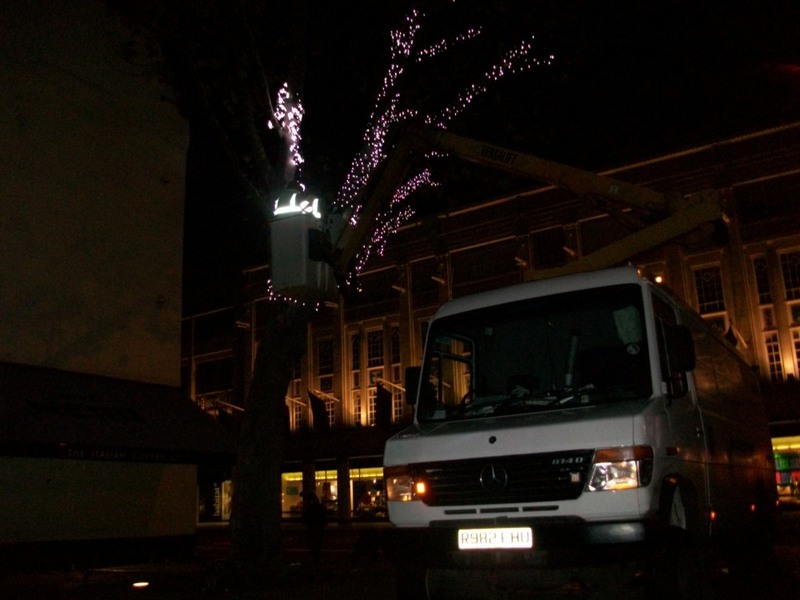 The Friends group were asked by the council to consider a request by the Fitzrovia Partnership (a business group led by Derwent London) to install Christmas lights in the trees. The Friends group were unanimous in their view that adding Christmas lights was inappropriate considering the appalling state of the open space. Money should be spent on improving the condition of the park not on drawing attention to it with fairy lights.